inflorescence in early Fall--can you see why this species is sometimes called turkeyfoot? 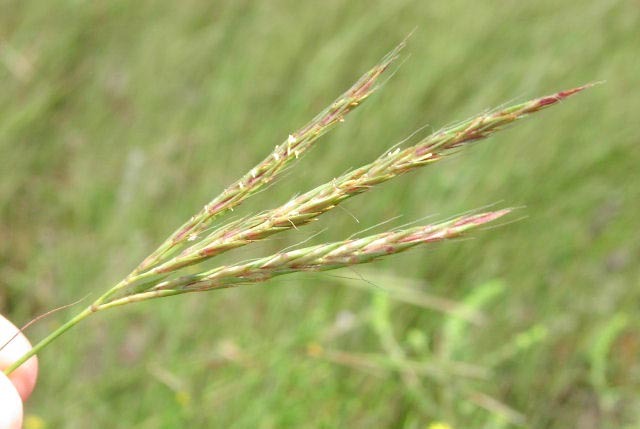 inflorescence closeup--each segment you see is actually a separate mini-inflorescence called a spikelet. Spikelets are the basic inflorescence type in the grass family. 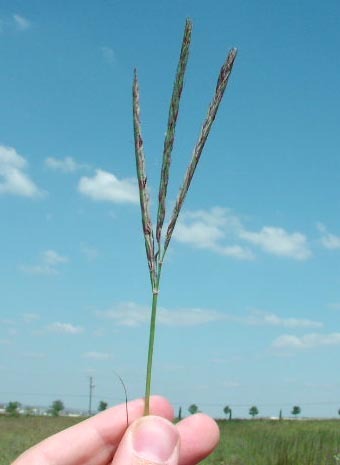 In Andropogon gerardii, the spikelets are closely appressed (meaning pressed against) to the inflorescence axis. 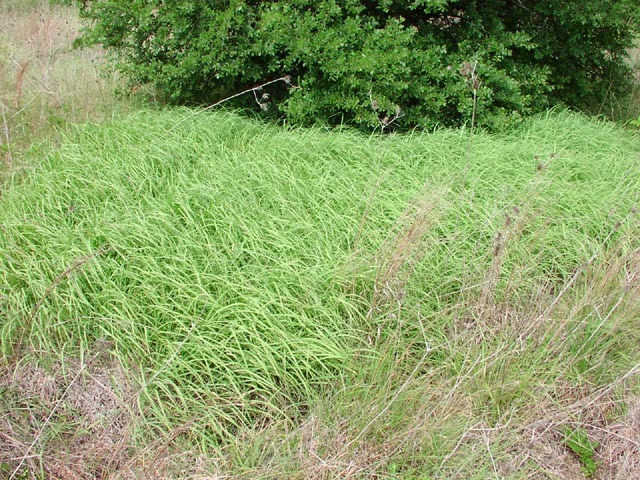 habit in early Fall--here in central Texas, big bluestem (as this grass is known) is actually fairly short. In other parts of the U.S., particularly in the tallgrass prairies of the Midwest, big bluestem can reach 12 feet in height! 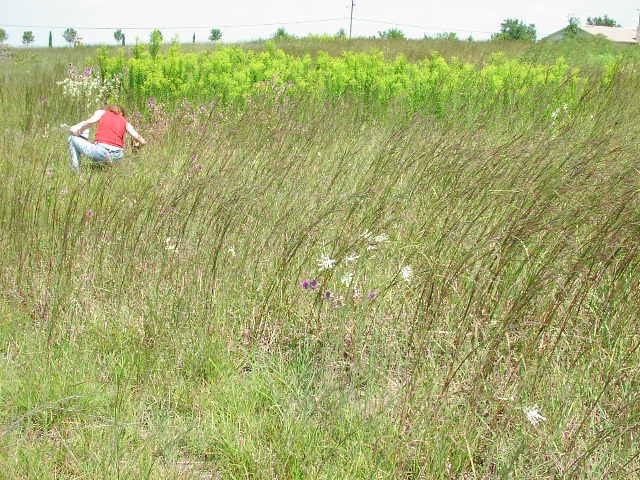 habit in late Spring--big bluestem is a rhizomatous grass in central Texas. 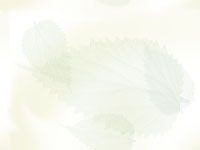 This clump represents one individual.